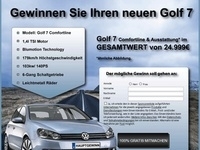 When Golf 7 Raffle your users can win a new VW Golf 7 worth a total of 24,999 euros! Equipped is the chic runabout with the Comfortline package and a 1.4l TSI engine. 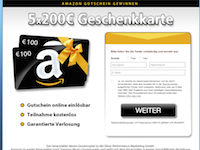 In addition to the BlueMotion Technology and a 6-speed manual transmission, the winner / the winner on sporting 140 hp and elegant light-alloy wheels can be pleased.